Habitat restoration is a key strategy in the Delta Plan to achieve the coequal goal of protecting, enhancing, and restoring the Delta ecosystem. 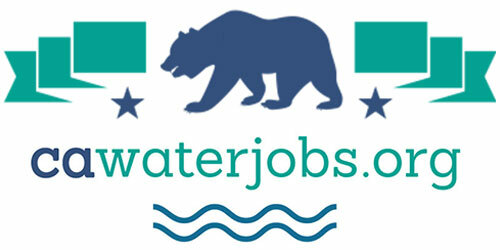 Various efforts, including the California EcoRestore initiative and Proposition 1 grants administered by the Delta Conservancy and Department of Fish and Wildlife, will advance the restoration and enhancement of habitat in the Delta, Suisun Marsh, and Yolo Bypass regions of the California Delta. Recognizing that past Delta restoration efforts have rarely covered the full adaptive management cycle, the Delta Science Program initiated a comprehensive, science-based adaptive management approach to support achievement of Delta habitat restoration goals and increase restoration success. The Interagency Adaptive Management Integration Team (IAMIT), which is comprised of agency and stakeholder scientists and technical management staff, developed a white paper describing existing adaptive management resources, how those resources link together, and what resources are currently lacking. The development of the Delta Habitat Restoration Adaptive Management Program is intended to provide a strong foundation for robust, long-term adaptive management for habitat restoration in the region. 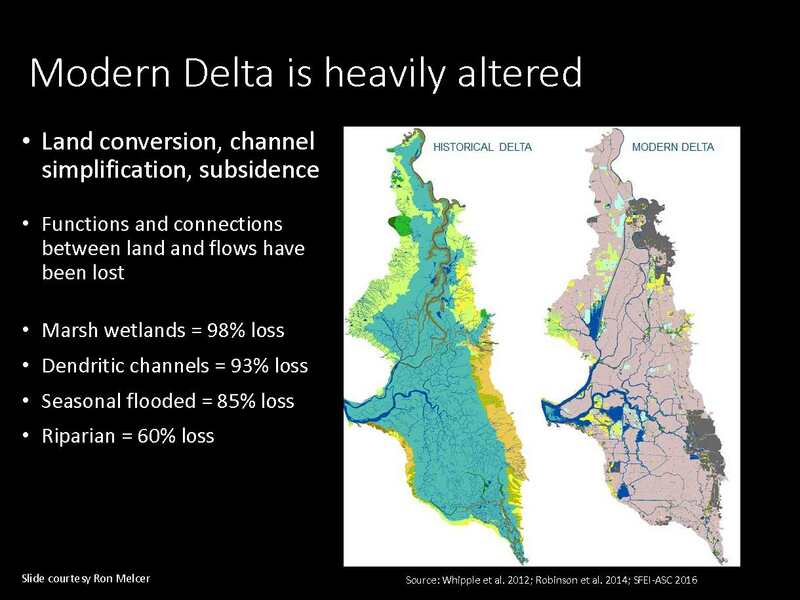 At the 2018 Bay Delta Science Conference, Lauren Hastings, Adaptive Management Science Advisor with the Delta Science Program, spoke a white paper that was developed to support the establishment of an adaptive management program for habitat restoration in the Delta. Ms. Hastings spoke on behalf of the white paper’s co-authors Karen Kayfetz, Maggie Christman, Eva Bush and Darcy Austin and the others on the Interagency Adaptive Management Integration Team. Why are we working on habitat restoration? Ms. Hastings began by explaining why the state and others are working on restoring habitat in the Delta. 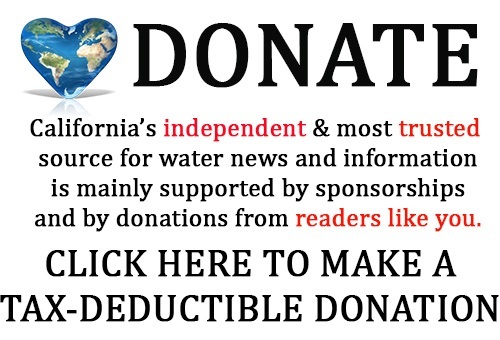 California and particularly the Delta has been heavily altered over the past 150-200 years to provide services for people such as water, land for farming, land for people to live on, and flood control; all of this has led to a highly altered system. 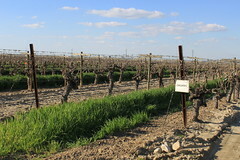 The Delta Plan, the Delta Stewardship Council’s comprehensive, long-term management plan for the Delta and its resources, calls for habitat and ecosystem restoration in the Delta in its Chapter 4. This Council is working on amending the chapter to consider climate change, lessons learned about adaptive management, identify best practices, and address institutional changes that are needed to improve implementation of restoration. 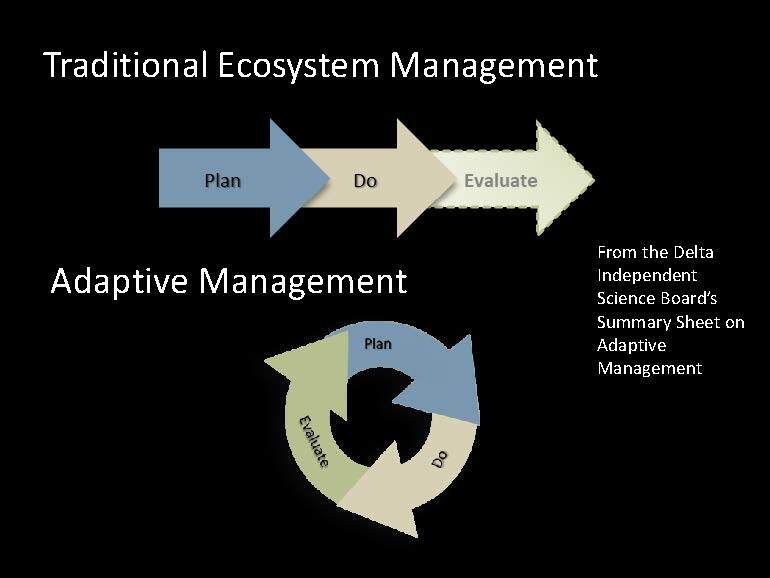 Adaptive management: what is it and why is it important? Most often it’s uncertain whether projects or actions will achieve the desired outcomes, which is why adaptive management is needed. But what exactly is adaptive management? Ms. Hastings have the example of designing and constructing a fish restoration project intended to help native fish, but how certain are we that we are going to reach that desired outcome? Maybe instead of fat native fish, the outcome may be instead fat invasive predators or lots of invasive clams or invasive weeds. “If we’re not 100% sure that our management action will achieve our expected goals and outcomes, but yet we still want to get going on implementing projects, then the project should implement adaptive management,” she said. 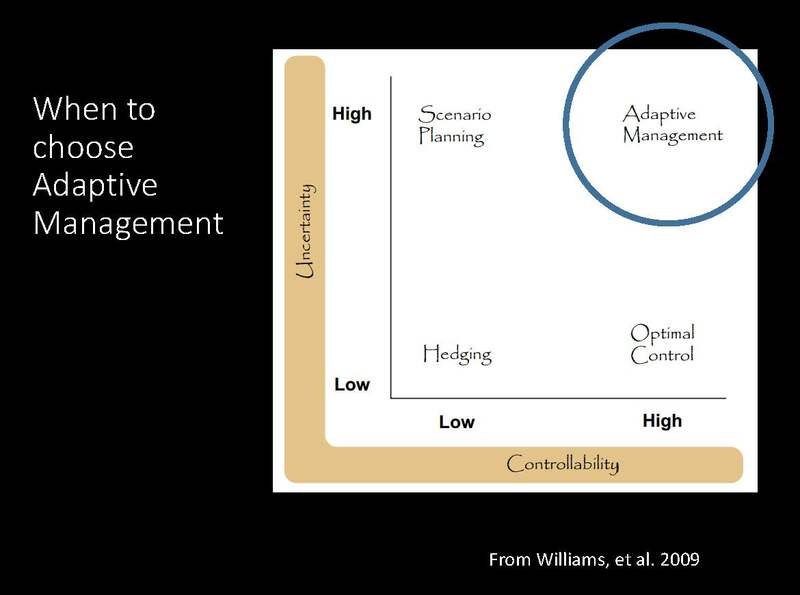 For adaptive management to be successful, there must be both high uncertainty as well as high controllability. If there is high controllability and low uncertainty (or high certainty), then it’s simple; we take the action and monitor to the project to make sure we did what we thought we did. However, if we have low controllability, there aren’t as many options. Other strategies rather than adaptive management should be used. Traditionally ecosystem management is rather linear; we plan a project, we implement project, and we might evaluate whether we achieved our goals and objectives, but we don’t do a loop. But with adaptive management, it’s an iterative process done in a deliberate way. 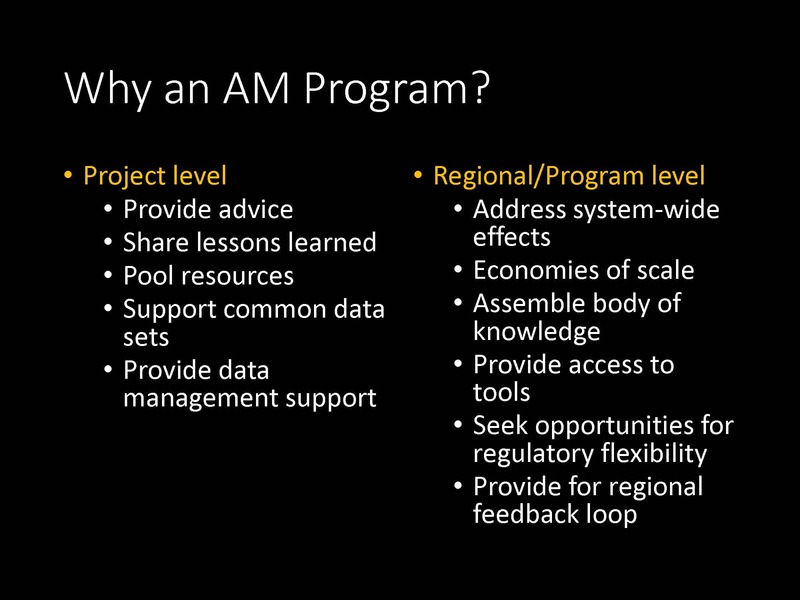 Why is an adaptive management program needed? There are a lot of adaptive management efforts going on, and help is needed at both the project level and at the regional and programmatic level, Ms. Hastings said. “We think there are benefits to be gained by having a common group of people talking about adaptive management, supporting it, and promoting it to help folks both at individual project levels and at a regional and programmatic level,” she said. 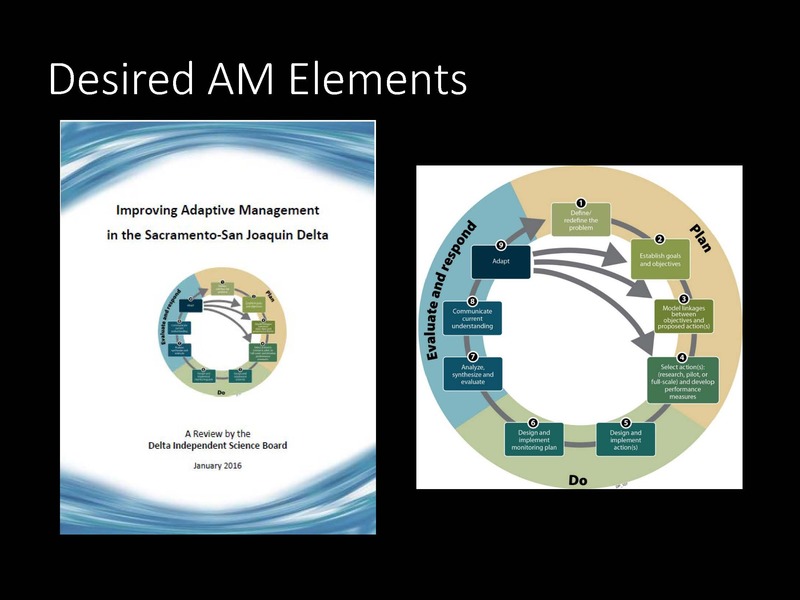 So they brought together staff from local agencies, state agencies, and federal agencies and stakeholder groups came together and formed a technical team called the Interagency Adaptive Management Integration Team, or IAMIT. The interagency group has been active for several years now; it’s a technical coordinating body that includes practitioners and others who are involved in the existing adaptive management efforts, as they know what their groups are doing, they know what’s going on, and they know what the needs are, she said. “I think it’s been a very effective group,” Ms. Hastings said. The interagency group developed a white paper to promote the idea of an integrated coordinated adaptive management program; the white paper is being circulated for review. In developing the white paper, they first determined what the desired elements of an adaptive management program are, they determined what of those elements already exist (recognizing that a lot do), identified the gaps, and then converted those gaps into recommendations. The interagency group utilized existing guidance documents in preparing the white paper, such as the report by the Delta Independent Science Board, and the Delta Plan’s appendix on how to do adaptive management, she said. An appendix was compiled for the white paper that identifies what tools and information is currently available that is supporting adaptive management, including conceptual models such as the DRERIP, quantitative models, existing teams, and forums. 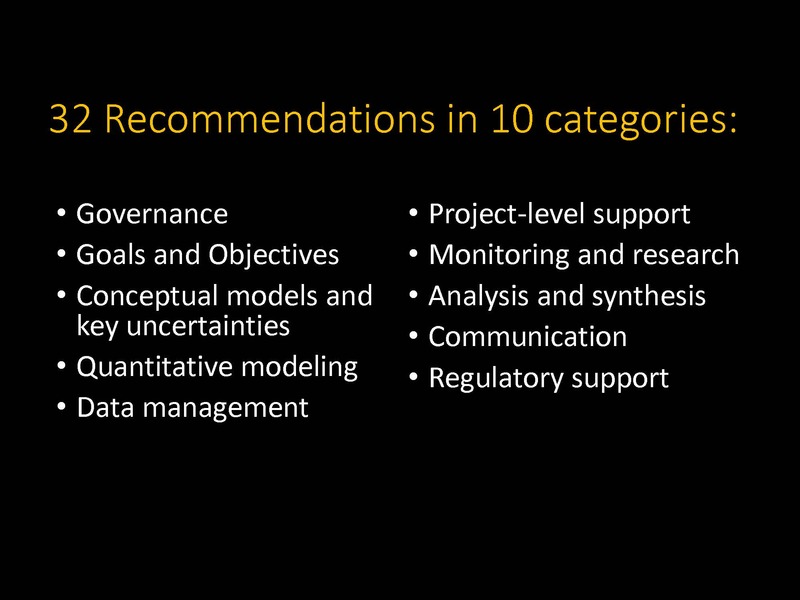 There are also existing data portals, support for analysis synthesis, peer review, and communication. However, while there are a lot of resources available, there are still gaps. Not all the elements or models are available for all the habitat types, or for subsidence reversal or channel margin habitat, she said. Additional models need to be developed and made more readily accessible to people, and more communication is needed across the landscape as well as across programs. One of the things the team is looking for are the synergies and the ways to leverage what folks are already doing, such as common data collection efforts, said Ms. Hasting. There also hasn’t been much consideration of the cumulative impacts of the individual restoration projects. Are we really achieving at the system-wide level our goals and objectives? Are we producing food for fish in the ecosystem? That can’t be expected from one individual project. Who is studying that and how can we better support that? As for the next steps, several drafts of the white paper have been produced; it’s been reviewed by the Delta Independent Science Board, colleague reviewers, and the steering committee, and they are still responding to those comments. The IAMIT will be meeting later in September to review the latest draft. Click here for more on the Interagency Adaptive Management Integration Team. 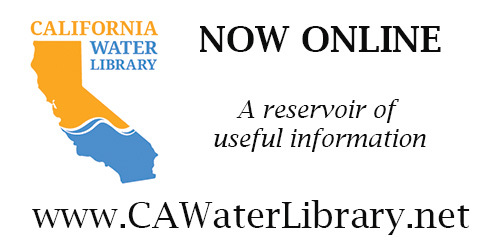 For more on adaptive management, click here to view the collection of documents at the California Water Library.